The Melville has seven guest rooms in addition to the public areas which include two dining rooms, one of which is used as a day room from late morning onwards. The kingsize bed and dressing table in the Superior room. The double (B) has a seating area. 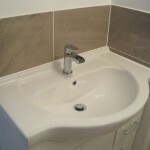 There is also a small dressing table with a hairdryer. Superior room: The superior room has an ensuite shower room and offers a kingsize bed, a ‘lounge’ area with sofa and coffee table, a mini fridge, flat-screen TV, tea and coffee-making facilities including filtered water, towels, a hairdryer and complimentary toiletries. 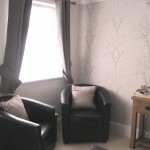 Double room (A): This room can only be booked direct. 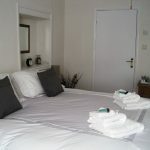 The double room (A) is ensuite and offers a kingsize bed with a seating area, a minifridge with fresh milk, flat-screen TV, tea and coffee-making facilities including filtered water, towels, a hairdryer and complimentary toiletries. 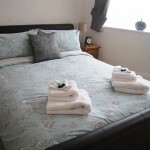 Double room (B): The double room (B) is ensuite and has a double bed. 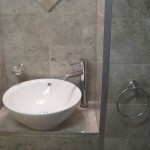 There is also a seating area, a minifridge with fresh milk, flat-screen TV, tea and coffee-making facilities including filtered water, towels, a hairdryer and complimentary toiletries. This room also has a single sofa bed for a third person. There is a sloping ceiling in the ensuite. 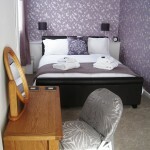 Standard double room: The standard double room is ensuite and has a double bed with a seating area, TV, a minifridge with fresh milk, tea and coffee-making facilities including filtered water, towels, a hairdryer and complimentary toiletries. Double or twin room: The double or twin room can be either twin beds or a superking bed. 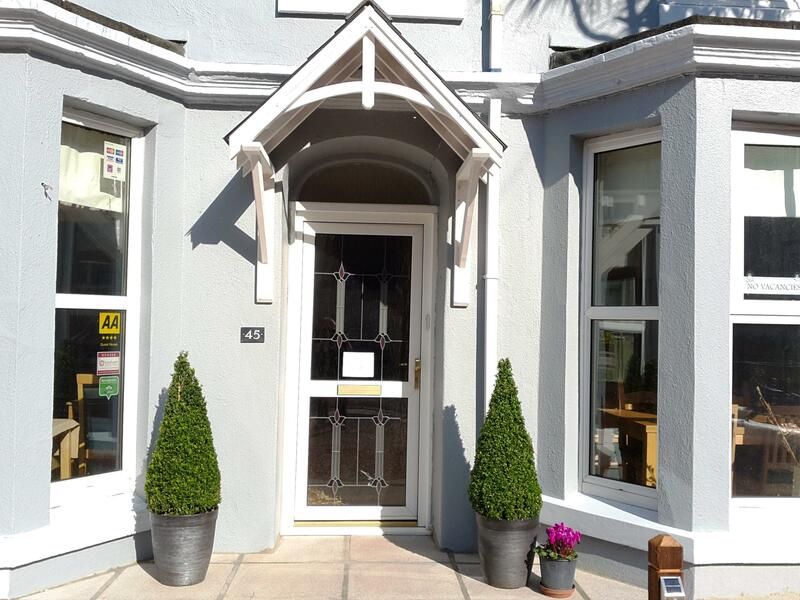 The room is ensuite and has a double bed with a seating area, TV, a minifridge with fresh milk, tea and coffee-making facilities including filtered water, towels, a hairdryer and complimentary toiletries. 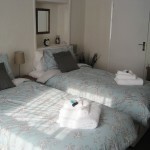 Small double room (A): This is a small room suitable for long stays for single people or shorter stays for couples. The room is ensuite with a double bed, tea and coffee-making facilities including filtered water, towels, a hairdryer and complimentary toiletries. 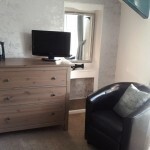 Small double room (B): This is the larger of the two small double rooms and can only be booked direct. 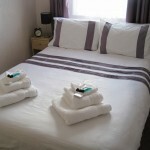 The small double room (B) is ensuite with a double bed, tea and coffee-making facilities including filtered water, towels, a hairdryer and complimentary toiletries. The Melville is just a five-minute level walk to the town and harbour. Guest rooms are on the first and second floors – this being a lovely Victorian townhouse – so, sadly, The Melville is not suitable for people with walking difficulties. Please note that parking needs to be reserved. This is subject to availability at the time of request. We have a number of onsite parking spaces, but can ensure that you have free-of-charge parking on arrival either in parking areas neighbouring The Melville or nearby. Two of the spaces on the driveway are reserved for direct bookings. Please note that parking is at your own risk and The Melville cannot accept any responsibility for damage caused to vehicles. The Melville accepts children aged fourteen years and over. Pets cannot be accommodated at The Melville.